Pink Ink and Polka Dots: Another Giveaway! Thanks Janine for posting about my give away! I love your Blog! 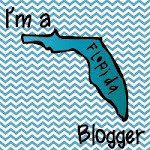 My pleasure Kim, I love sending out some bloggy love to my peeps! Have a great week!